One large bathtub or 20 minute hot shower can empty a 40-gallon “tank” style water heater! But an energy efficient ”tankless” water heater can provide a continuous supply of hot water at a consistent preset temperature as long as you want and whenever you want even while you run your dishwasher and start a load of laundry. A “tank” style water heater stores water in a tank and keeps the water hot 24 hours a day, 7 days a week, constantly heating and re-heating stored water and wasting energy and your money. A “tankless” water heater system is designed to heat water directly without the use of a tank. It only heats the water when you use it. You don’t use hot water 24 hours a day so why pay to heat it while you are sleeping. It’s the installation that makes the difference! Tankless water heaters are far more complex to install than a traditional tank style water heater. Proper installation of these high-performance water heaters is directly linked to optimal performance and optimal energy savings which will then insure that you have a long lasting trouble free experience. Jimmy Vandivier of Flowrite Plumbing has invested the time to be property certified in both tankless installation and repair. These certifications are above and beyond his licensing as a Plumber (C-36 License) and General Contractor (B- License). Save space with a tankless water heater. Tankless water heaters take significant less space than a “tank” style water heater. “Tank” style water heater can take up to 16 square feet of valuable garage floor space. For those that have their “tank” water heaters in a closet, they lose a full size pantry! But a tankless water heater is only about the size of a carry-on suitcase and can be installed inside or outside your home. Signed into law by President Barack Obama, the Economic Recovery Act, a $787 billion Federal Stimulus package. 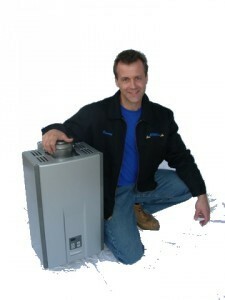 For a limited time, the IRS has increased the Tax Credit for qualified tankless waters heaters from $300 to up to $1500. Homeowners can now claim 30% of the costs (up to $1500 limit) for the installation. As always, you should consult your tax professional to determine your individual qualification for the tax credits. 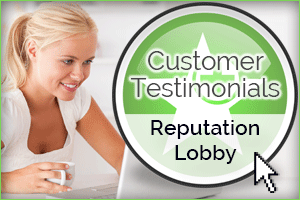 Call Flowrite Plumbing and we will come to your home to show you which tankless water heater is best for you. Call now at 916-496-0935.